UFO Captured Hovering Above The Clouds During Flight From Amsterdam to China, Video, UFO Sighting News. 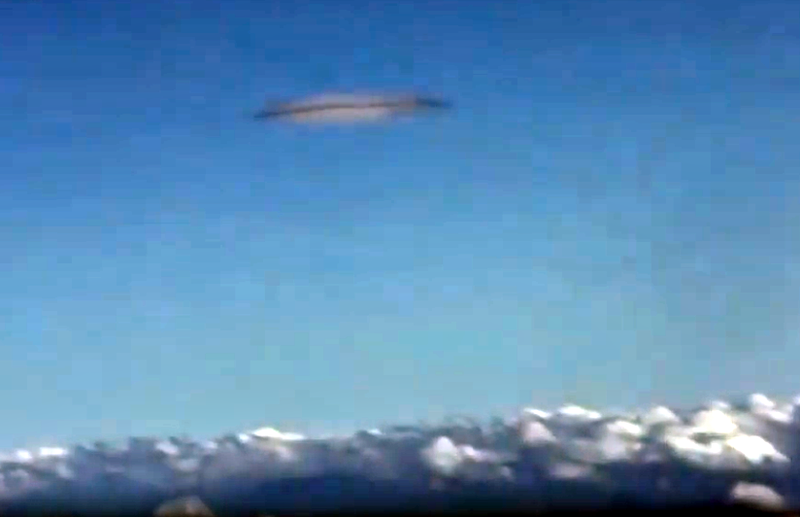 This UFO is shaped like a cloud but has a dark black ring around its edge which clouds never do. Also the center area of the cloud is glowing from within. Aliens pride themselves on outwitting humans around every corner, and humans do not help the situation by saying…its your imagination…or its just a cloud…which falls into their metal trap perfectly. This is a beautiful disk UFO. I have lived and worked in Argentina for 6 years. On September 12, 2018, my wife and I finally got on the flight from Argentina to Amsterdam. Our terminal is Fujian Xiamen Gaoqi International Airport. After a short stay at the Amsterdam International Airport, transfer to Dutch Airlines, flight number KL883, model: Boeing 787-9. I don’t know how many hours of flight, after a few sleeps and wake up, I watched the mobile phone at 09:31. I should fly to China. The mobile phone is in flight mode, I can’t access the Internet, I don’t have WIFI, I’m bored. Looking out the window, I suddenly saw a strange black cloud, yes, it was a black cloud, not a black cloud. I quickly took out my mobile phone and immediately took it. The clouds in the impression are all white, how are there black? It is not surprising that everyone looks at this piece of cloud. The heart wants to be able to see the UFO, because it has a lot of curiosity and awe. I foresee that this trip is not normal. I asked my wife next to me to look outside. She said coldly that it was normal. Clouds are like this. I can only say that women are women. So I held the mentality of trying it out and continued to look out the window to see if I could find something. I watched it for ten minutes and found nothing, so I went to Xiaomi again. After almost an hour, I suddenly felt something strange, and looked out of the window. There was a disc-like UFO in the distance. At first glance, it looked like a cigar, and immediately pulled out the phone and was nervous. Excited, I was afraid to miss the “first intimate contact” between me and UFO. Too excited, the first focus lens was not photographed. I immediately pulled the phone and pulled it into the lens again. I finally photographed it. Silver-gray discs, there seem to be two layers above and below, in a static state, I don’t know what they are doing, I don’t know if anyone is seeing it, I don’t know if the captains have seen it, I’m excited to call my wife. Looking at this UFO, she still gave me a sentence, isn’t it a cloud, as excited as it is, it is your hallucination. I am speechless, come, upload a video to everyone to see what it is, iphone 7 plus was shot on September 14th, 2018 AM 10:30. Previous Post:Glowing Red UFO Recorded Over Denmark May Be Secret Military Craft, Jan 2019, Video, UFO Sighting News.